The Outerknown Fiji Men’s Pro is ON now and holds an event window of June 4 – 16, 2017. Courtney Conlogue (USA) claimed victory today at the Outerknown Fiji Women’s Pro in pumping conditions at Cloudbreak. TAVARUA/NAMOTU, Fiji (Sunday, June 4, 2017) – Barriers were broken down today during the historic Final of the Outerknown Fiji Women’s Pro, Stop No. 5 of the World Surf League (WSL) Championship Tour (CT), with California’s Courtney Conlogue (USA) taking the win over Hawaii’s Tatiana Weston-Webb (HAW). Conlogue and Weston-Webb, two of the hardest-charging surfers in the field, battled for the event title in dangerous six-foot barrels at Cloudbreak in front of the world’s best male surfers who stepped aside and reorganized their event schedule to see the Women’s Final run in these critical conditions. Courtney Conlogue (USA) takes on massive waves at Cloudbreak in the Final of the Outerknown Fiji Women’s Pro. 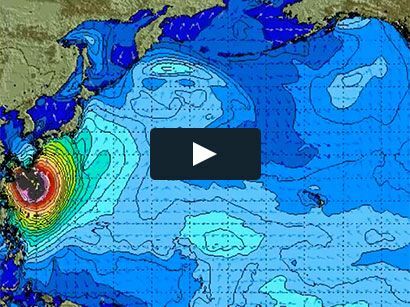 The Final saw the women go all out in waves of consequence for the CT win. Massive walls and heavy barrels lined-up at Cloudbreak to challenge Conlogue and Weston-Webb in their seventh head-to-head matchup. Weston-Webb charged through the fast tubes, but was unable to find the exit to complete her scores. Conlogue plowed through the lineup but got caught up on the lip trying to land extreme maneuvers. The Californian kept fighting and landed big combination moves in critical sections to take the win. Conlogue claims her seventh career Championship Tour victory and her second of 2017, after a win at Bells Beach earlier this season. The win for the two-time CT runner-up sees her move up one place from 5th to 4th on the Jeep Leaderboard and close the gap on the top three. 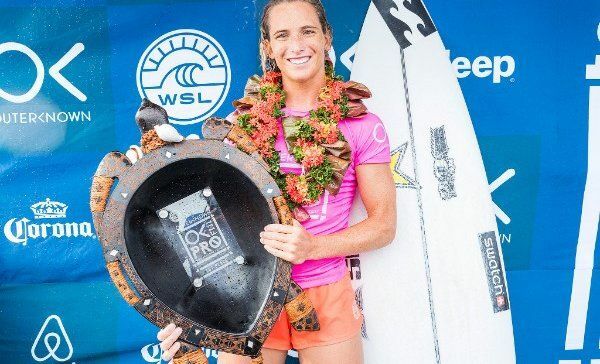 Conlogue stormed her way to the Final by defeating reigning WSL Champion and No. 1 on the Jeep Leaderboard Tyler Wright (AUS) and defending event winner Johanne Defay (FRA). The runner-up finish for Weston-Webb sees her jump up two places on the Jeep Leaderboard from 12th and puts her back inside the top 10 after a disappointing start to the season. Today is Weston-Webb’s first Final appearance of 2017 and her best ever result in Fiji. Tatiana Weston-Webb (HAW) charges through fast barrels at the OK Fiji Women’s Pro. The young surfer from Hawaii earned her place in the Final with a string of incredible victories that saw her take down two-time event winner Sally Fitzgibbons (AUS), 3X WSL Champion Carissa Moore (HAW) and 6X World Champion Stephanie Gilmore (AUS). Highlights from the Outerknown Fiji Women’s Pro are available at WorldSurfLeague.com. The next stop on the 2017 WSL Women’s Championship Tour will be the Vans US Open of Surfing from July 31 – August 6, 2017.